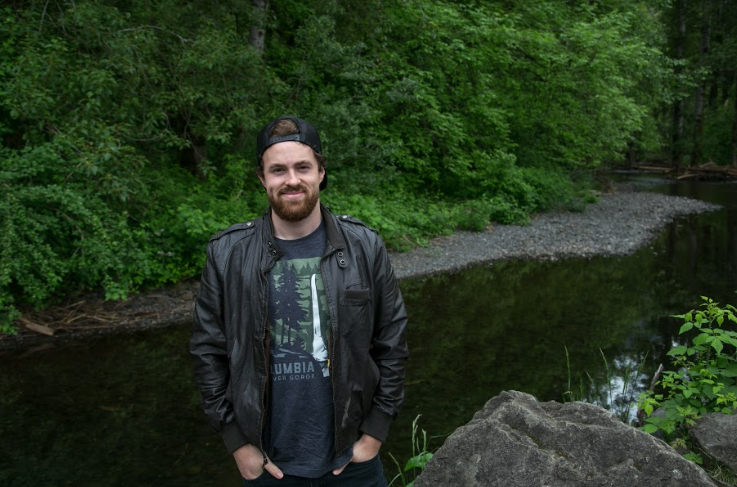 Growing up surrounded by the Pacific Northwest’s beauty, my husband and I both LOVE to get outdoors and adventure. Our new little girl, Reylin is our ‘adventure baby’ and we look forward to instill the same love and respect of the outdoors in her as she grows. We’ve gotten a head start on this by taking her on day hikes to some of our favorite places even at 4 months old. She loves looking around and taking in the fresh air and is just such a good little hiking buddy. I’m always looking for ways to support and promote our nature addiction. I came across The Landmark Project and loved their designs and support of our countries beautiful National parks! I love this company because they promote the beauty around us and they intentionally design their products to connect outdoor enthusiasts. I also LOVE that each purchase supports at-risk youth to seek adventure; partnering with Great Outdoor Adventure Trips to mentor and train kids each Summer through rafting and camping. If that doesn’t make this company stand out I love that they provide their employees access to all the outdoor gear they could need to better understand their own mission - every company should do that!! I had to order my husband a shirt, which by the way would be the PERFECT Father’s Day gift! I chose one that had an awesome Columbia River Gorge graphic since we were planning on taking our adventure baby to Multnomah Falls for a visit. It was so soft and high quality out of the box. Sometimes my hubby has problems with shirts shrinking after being washed but this was NOT the case. 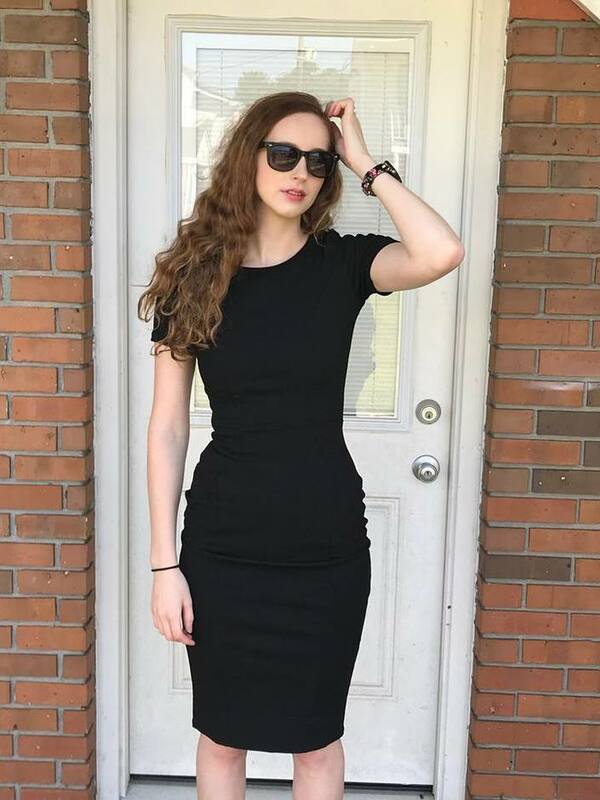 These products hold their size and are super comfortable and look great. As you may know, the Columbia River Gorge over here in Oregon went through a devastating fire last year due to a teenager setting off fireworks on an extremely dry day. This area means a lot to my family, we would often come here for a beautiful drive on the old highway. One of my husband and my’s first dates was hiking to Oneonta. We’d go to the Vista house when the winds were really strong and try to stand up straight. This was our first trip up there since the fire and we were a little nervous to see what the fire had done to this usually lush, green and extremely hikeable area. 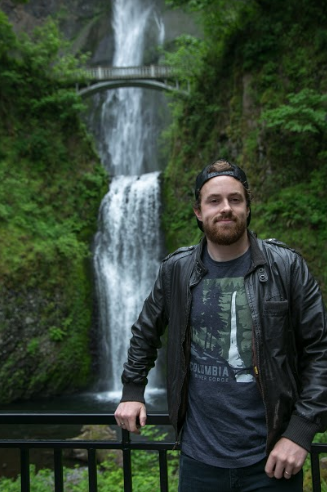 Multnomah Falls was still extremely gorgeous and perfectly matches the shirts rendition of green and blues! 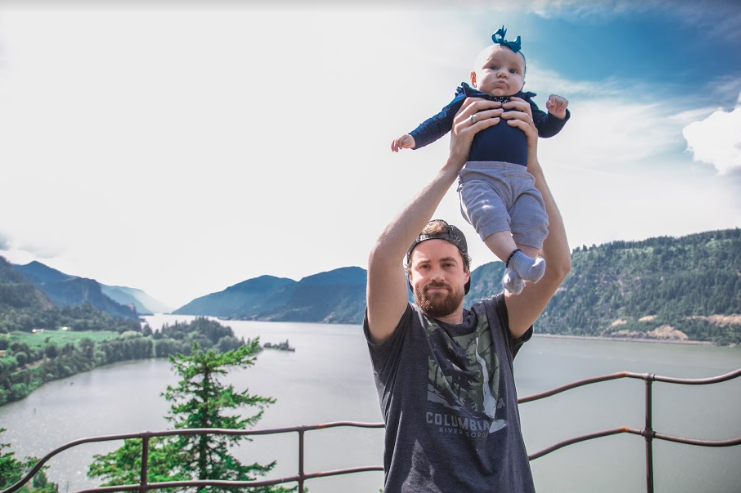 We received compliments of others who were there to see the falls and even someone asking ‘where did you get your shirt?’ which definitely spoke to the quality and perfectly tied in with this companies mission to bring nature lovers together! The hike to the top was unfortunately blocked off on either side and we weren’t able to drive the old highway to see some of the other falls and Oneonta. Driving up further we definitely saw the blackened trees and clearings created by the fire. While this was disappointing, we still realized that the gorge was still as beautiful as ever and that, with time, the plants and trees will re-grow and the trails will open and we will hopefully have much of what there was before back. It was also an excellent reminder that as people we have a lot of power and that one spark can devastate a lot of beauty. As people going into nature we have a responsibility to be smart, pack in and out, and leave beauty as we found it. This shirt means a lot to my husband and I love that The Landmark Project gives us a way to show others some of our favorite outdoor areas and connect us with others. We plan on wearing this on our other travels in hopes that fellow Columbia River Gorge lovers will feel that they can strike up a conversation! 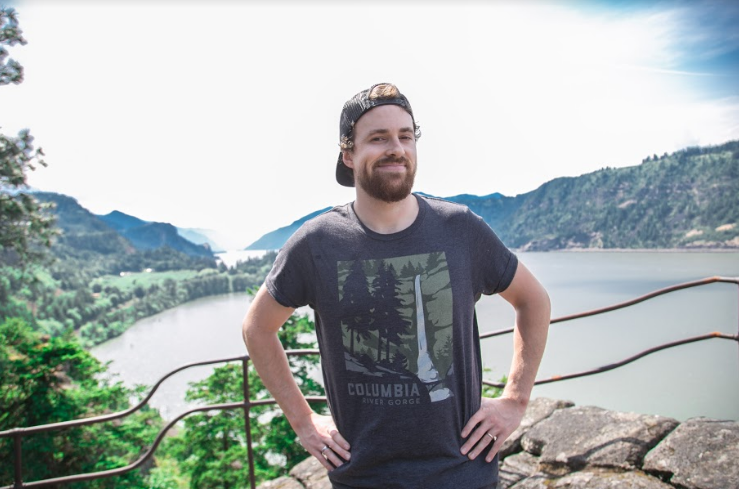 I also love the idea of buying their shirts before visiting the National Parks and getting photos in them at the location, or perhaps planning a surprise trip and giving the shirt as a gift to announce where you’re going. At any rate, the quality products at The Landmark Project are well worth it and I highly recommend supporting their business and getting out and seeing the National Parks! Guys always want the newest coolest gadget out there and this one is sure to be a hit for Father’s Day. The combination of high intensity LED lighting and restaurant grade stainless steel is what makes Grillight different. This ingenious idea puts bright, all-natural light across the grill. That means no more charred chicken or too-toasted toast. A high power, waterproof light is built directly into the handle so it always points where you are cooking. It will never get in the way and it’s bright enough to light up the entire grill surface. SPECIAL FOR FATHER’S DAY!! 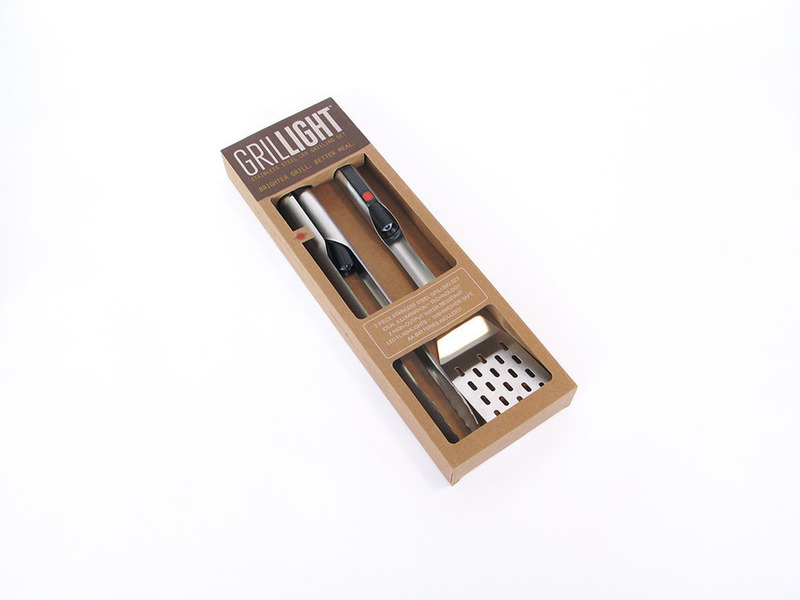 Grillight Father’s Day 2pc grill set: Includes Spatula and Tongs! Other grilling utensils use low grade LEDs. Grillight uses “pure white” light to show the true color of your food. This way you won’t end up with burned burgers and crispy corn. The owner started Grillight 2.5 years ago in his hometown of Dallas, TX where they’re known for some mighty fine BBQ. While cooking for friend’s one night, he was trying to juggle the grill, tongs and a flashlight and that’s when it dawned on him - grilling should come equipped with light! He teamed up with his business partner who is an expert in LED light engineering. They took a prototype to Kansas City Royal, the 2nd largest BBQ competition in the U.S. and the rest is history. Grillight is now as HOT as the BBQ you’re grillin’. 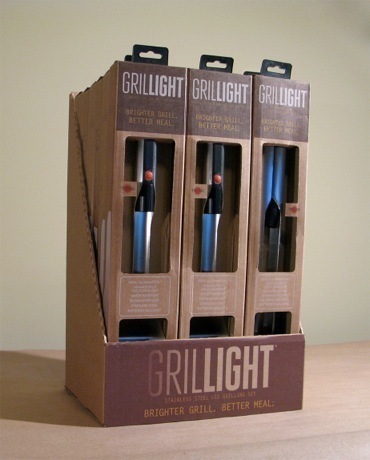 Grillight products are available at William Sonoma, Amazon and www.grillight.com. It is not too late to be thinking of something really nice to get for Dad this Father's Day! 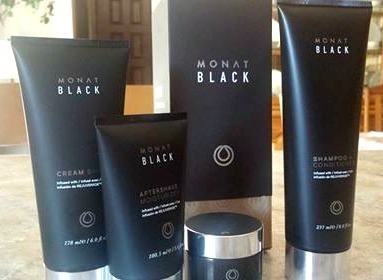 You need to check out the MONAT Black System! Dad deserves to be pampered! I was sent all four of these amazing products to test out and to share with my husband. (Really, I promise I shared!) I was very impressed by the fragrance of each product. It has a minty scent that smells nice and fresh. 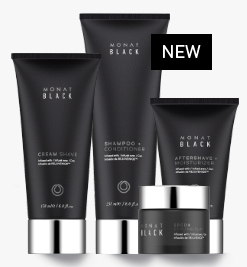 MONAT Global is a direct selling company founded in 2014 and focused on the development of high-quality, non-toxic hair care products. 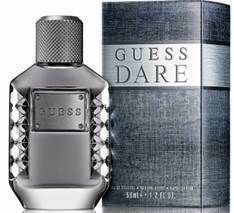 I would like to introduce you to the NEW fragrance from GUESS – Dare for Men. This fragrance combines the facets of the millennial man’s adventurous and daring spirit – adventure, freedom, sexiness, strength. Dare is a statement of confidence spiked with an element of surprise. This woody, spicy scent can be worn during the day or night. It combines top notes of Bergamot, White Peppercorn and Juniper Berry with the heart notes of Geranium, Jasmine and Cashmere Woods and base notes of Musk, Patchouli and Cedarwood. *Product received in exchange for post. Any opinions are mine.  Is Camping Calling your Name? 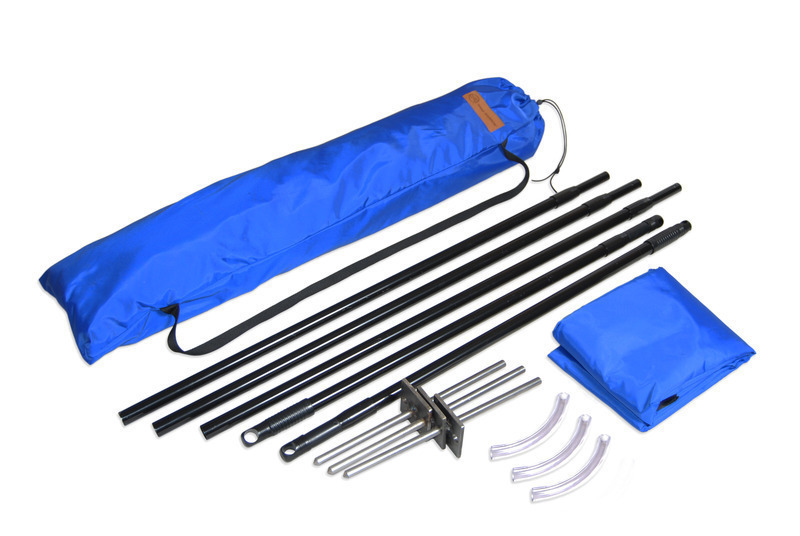 Protect yourself from the Elements with the Wind Warrior! Springtime is the perfect time of the year to start planning your camping adventures. My family is going next month. We always camp in a beautiful campground in Bend. Although I enjoy camping with my family, there are some things about the outdoors that I do not like. One thing I cannot stand is when the wind gets to blowing and all of the smoke and ash blows into my face. The smoke burns my eyes and sometimes a spark will land in my hair, which freaks me out. Thankfully, I have found the perfect solution, and it is called the The Block by Wind Warrior. The wise adventurers behind Wind Warrior have created The Block which will help any outdoor-lover withstand the weather, no matter how harsh it might get. This product would make for a great feature about must-have items when planning a camping, hunting, fishing or outdoor sports trip. 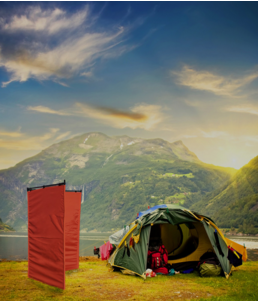 Durable and wind-breaking to protect your campsite, The Block by Wind Warrior allows the cost-conscious outdoor adventurer to endure any and all of the elements. Wind Warrior Block is versatile and portable and it increases privacy when you’re outdoors. The Block can be set up in a matter of minutes, in nearly any environment. The Block is made of light materials, yet is durable enough to withstand sustained winds of up to 35 mph. This staple will last season after season of repeated use in any weather Mother Nature offers. Best of all, it’s so easy to put together that a child can do it! Wind Warrior does not need any fasteners or tools. You won’t have to rummage for parts before set up. All of the adjustable mechanisms are built right into the frame. Wind Warrior is also expandable: You can join several 10-foot sections together to create a larger area of protection for you and your friends. The warranty gives customers confidence that this can last throughout years of use. This new class of outdoor product will give you one less thing to worry about so you can thoroughly enjoy all that nature has to offer. 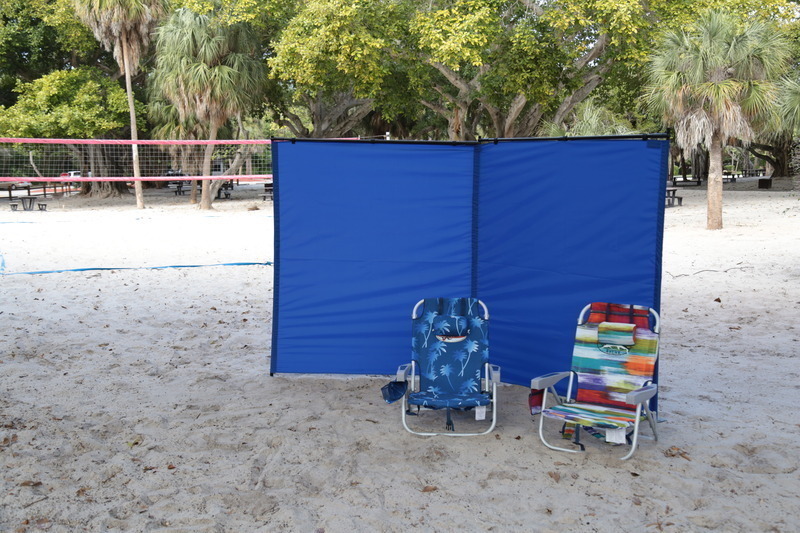 You won’t find another product with this level of portable wind protection and privacy. The owners of Wind Warrior, LLC, Greg Loos and Ben Kaufman are dedicated to creating new and innovative devices for sportsmen, athletes, and outdoor enthusiasts. Both Greg and Ben have owned companies in a variety of industries, but their heart belongs outdoors. They are avid outdoorsmen and committed family men Johnson Creek, WI. 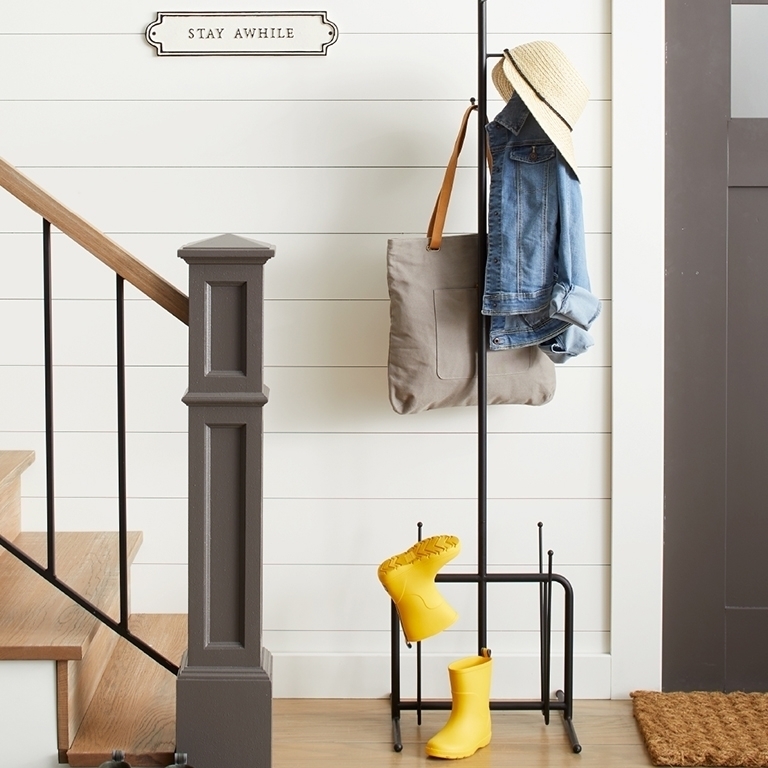 They want to make activities more comfortable and feasible even when the weather turns harsh. Greg designed the Wind Warrior Block because he needed a product exactly like this during his many days on hunting and fishing trips, camping excursions and outdoor sports. I also plan on taking my Wind Warrior to the beach, because it will protect me from the wind blowing sand all over me, plus I will be able to use it to shade me from the sun. I am beginning to think that that the Wind Warrior is going to be my best friend this coming summer. I also think that The Wind Warrior would be the perfect Father's Day gift for the outdoor enthusiast Dad in your life. Disclaimer: Product received. All opinions are my own. Looking for a great Father’s Day gift? Nothing says “I love you, dad” like a gift created by a family man, Walkers Shortbread. In 1898, Joseph Walker developed the recipe for the “World’s Finest Shortbread”—117 years later, the recipe (butter, flour, sugar, salt) is still used today and his legacy is carried on through the work of his children. 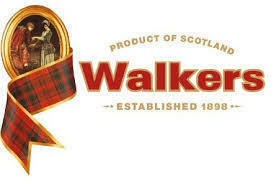 I absolutely love Walker's Shortbread. 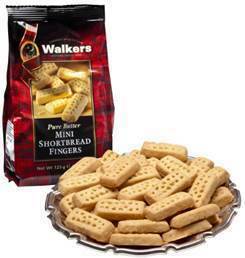 I was sent a package of Walker's Mini Shortbread Fingers to review, and I almost ate the entire package by myself. Walker's Shortbread is sinfully delicious, rich and buttery. I had to have my daughter take the package away and hide it from me so I would not eat them all in one sitting. And I know that Walker's Shortbread would be a very thoughtful and yummy treat for Dad for Father's Day, that is if you can refrain from eating them all yourself! When an elephant couple embark on a life together, thoughts of children are far away-at first. 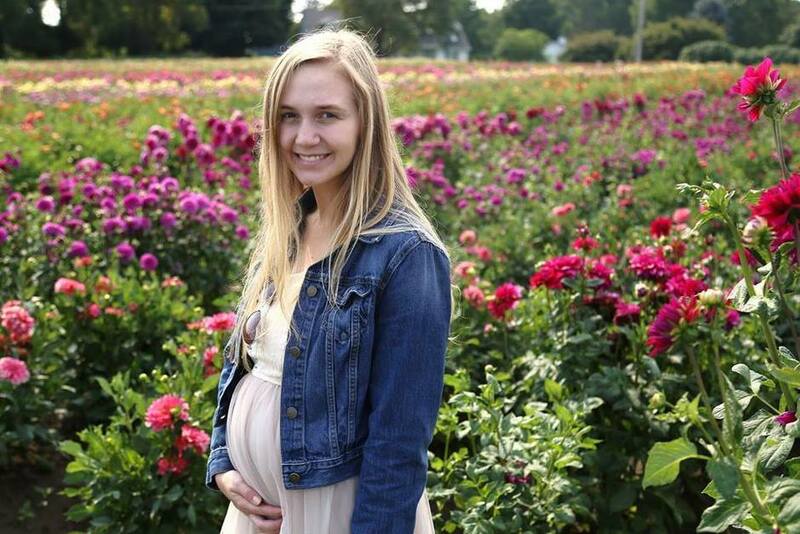 But as the desire for a child grows, so do unexpected challenges in the process. After fruitless plans and disappointment there's hope on the horizon and their deepest "wish" comes true just as it was meant to be. Both touching and uplifting, WISH provides parents everywhere the means to convey to their children just how much they are wanted, thought of, and cherished-- even before they came to be. This is a perfect gift for baby showers, first birthdays, as well as for Father's Day! My thoughts: This book truly touches my heart. Although I did not have trouble conceiving any of my four children, they were truly wished for and very, very much wanted. 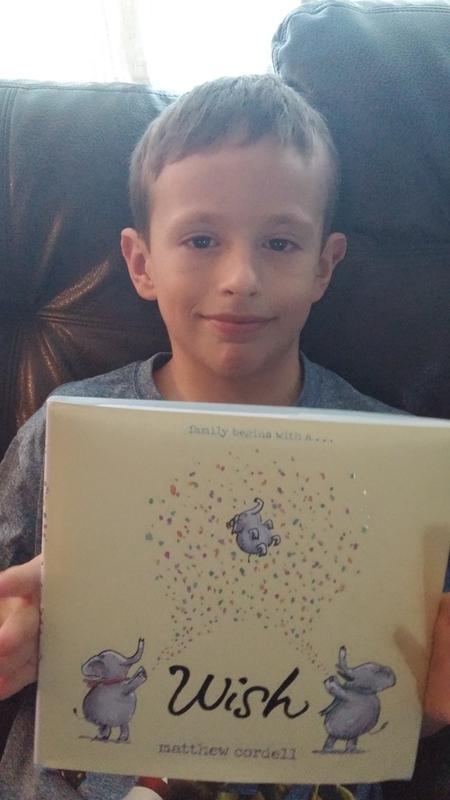 My son, Braxton really loves this book. I read it to him and let him know that his Mommy and Daddy wanted him so much more than we ever knew. (Although he was a surprise baby, we had no idea how much we wanted him until I was pregnant with him.) 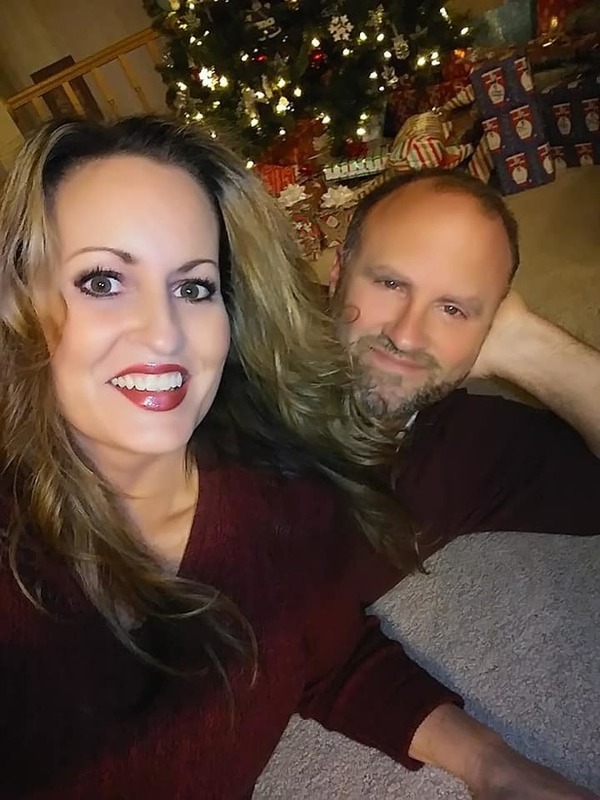 He is the greatest surprise gift we could have ever received. I really believe WISH would make the perfect gift for a new Daddy for Father's Day! 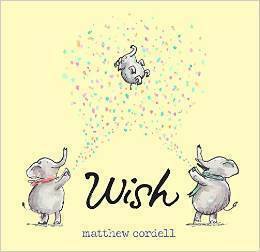 Matt Cordell personally knows what it’s like to wish. In fact, this book is the heartfelt windfall of him waiting for his wish come true a second time. Other books Matt has written and illustrated include hello! hello!, Another Brother, and Trouble Gum. He lives in Chicago with his wife, a young daughter, and an even younger son. Visit matthewcordell.com to learn more. Disclaimer: I was sent a copy of this book to review and to keep. All opinions are my own.  It Isn't too Early to be Thinking of the Perfect Father's Day Gift Dad will Love! Although Father's Day is not for another two months, it is not too early to be planning that perfect gift for that special Dad. A Trakline belt is the PERFECT gift! Any belt can hold up your pants… but only a Trakline belt can give you a perfect fit, unmatched quality and a classic style all your own. That’s why Trakline Belts are the #1 RATED MEN’S BELT by Amazon.com customers. Trakline's hidden track and patented buckle provides a precise fit even as your waist fluctuates – in and out a little. No more belt holes to crack, crease, add to, or thread. Instead Trakline belts provide over 40+ size positions (1/4” increments) to adjust with. The net result - Trakline belts are 8X's more adjustable than regular belts. To release or adjust, just pull the small tab under the buckle. improves with age, conforming to your waist shape. 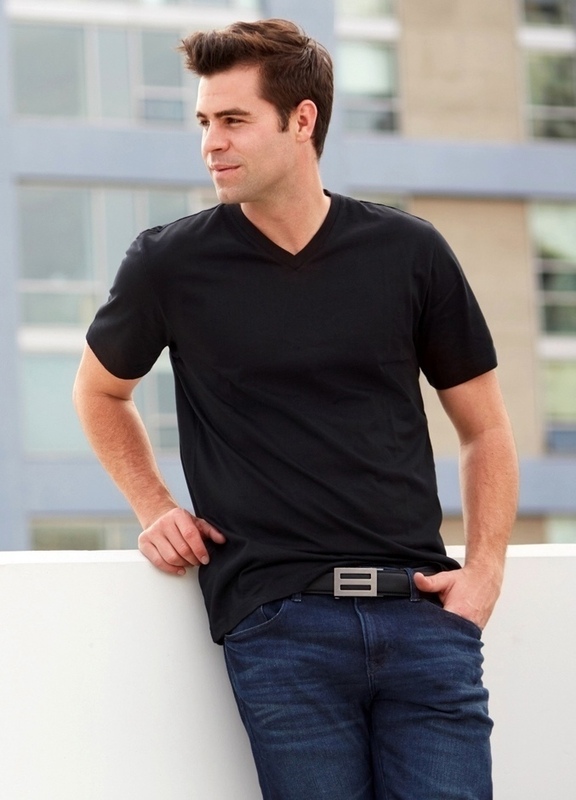 Trackline belts Finally – the belt you’ve been waiting for. Welcome to the future! Disclaimer: I received product in exchange for this post. Watsonville, CA (May 15, 2014) -- West Marine, the world’s largest waterlife retailer exclusively offering gear, apparel and footwear for anyone who enjoys recreational time on or around the water, today announced its “Deck Out Dad” promotion. This Father’s Day, West Marine is looking for the dad most in need of a waterlife makeover. By spreading the word on social media – Instagram, Facebook and Twitter – West Marine is encouraging folks to share photos of fathers who could benefit from a $500 gift card from West Marine. Maybe dad will spend it on foul weather gear that doesn’t leak? Or perhaps he could use new casual attire for a lunch by the beach. It could be used for new fishing equipment for the family or personal floatation devices that don’t look like they survived World War II. Whether the dad in your life is incredibly makeover-worthy or just a bit of a tightwad, we want to hear why he deserves to win new gear from West Marine. Contest Dates: May 15 – June 15, 2014. The winner will be announced the week after Father’s Day. 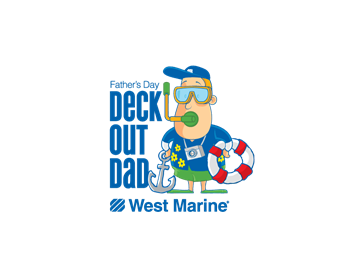 Entry Process: Photos should be posted on Instagram, tagged to WestMarineInc and include the hashtags #westmarine #deckoutdad. Captions should include info on why the dad is deserving and/or needing a makeover. Judging Criteria: Photos can be funny or sentimental, and preference will be given to those taken on or near the water. They could be on a boat, walking along the beach or at a waterside restaurant. Or, even at West Marine! Winner Notification: The winning entry will be asked to visit a West Marine to pick up their $500 gift card and must agree to a brief photo shoot that shows them shopping. (What he buys is up to him.) He must also agree to use of the photos (before and after) for West Marine promotional purposes. Founded in 1968 by a sailor, West Marine, Inc. has grown to become the largest omni-channel specialty retailer exclusively offering gear, apparel and footwear and other waterlife-related products to anyone who enjoys recreational time on or around the water. With over 275 stores located in 38 states, Puerto Rico and Canada and an eCommerce website reaching domestic and international customers, West Marine is recognized as the dominant waterlife outfitter for cruisers, sailors, anglers and paddle sports enthusiasts. West Marine has everything you need for your life on the water. For more information on West Marine, Inc. its products and store locations, visit westmarine.com or call 1-800-BOATING (1-800-262-8464). West Marine’s stock is traded on NASDAQ under the symbol WMAR.